Tourist traps in Orlando have the juggernaut of Walt Disney World to contend with, so many of the spots along International Drive have taken it to the next level to draw attention to themselves. 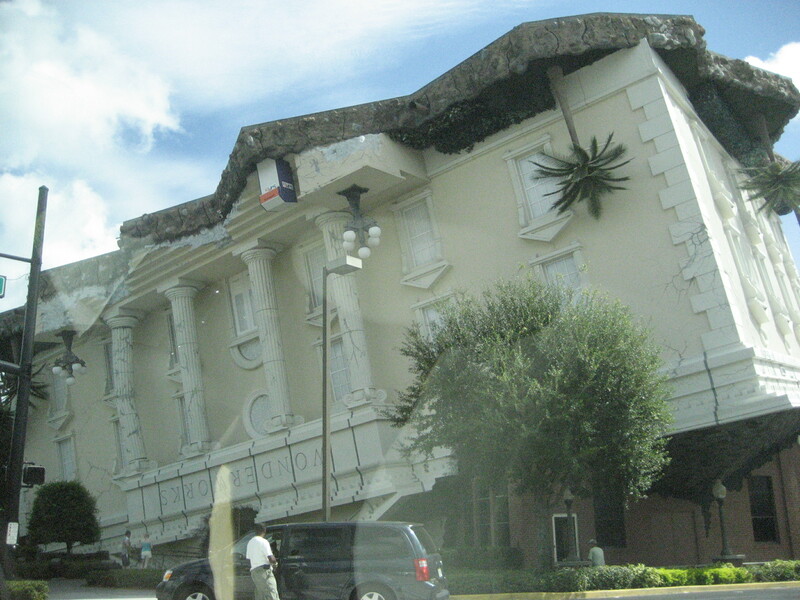 Case in point, the Wonder Works children’s museum above, which looks as if a hurricane flipped it over. 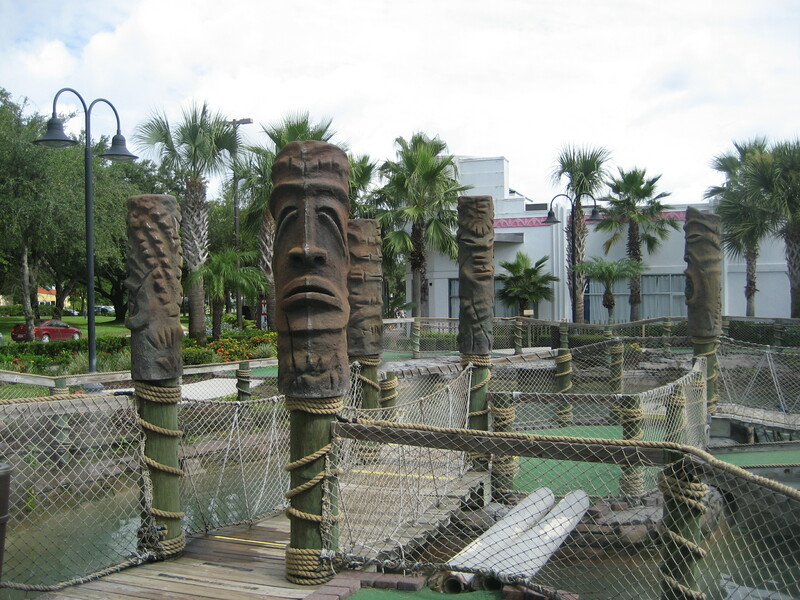 Even normally humdrum mini golf attractions have stepped it up. 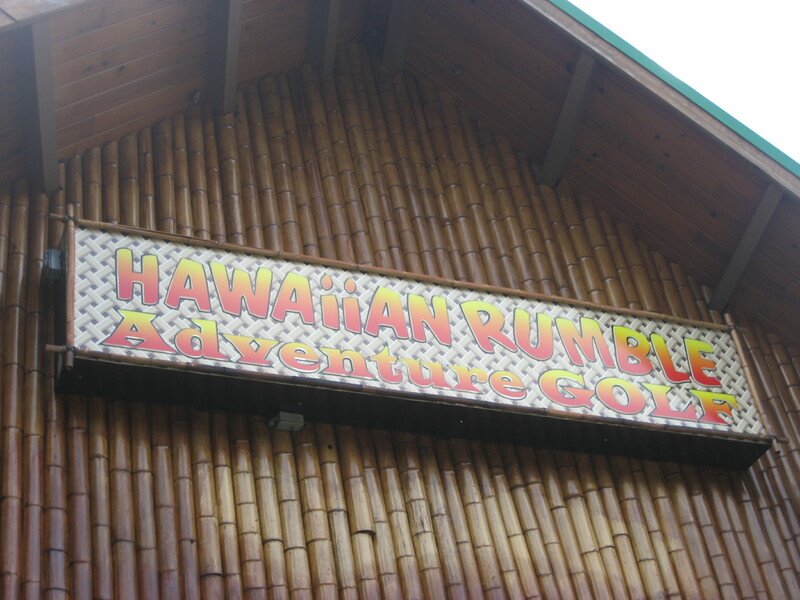 The Hawaiian Rumble Adventure Golf has a 50-foot volcano/waterfall and at least half a dozen tikis that we spotted from the street. I think I spotted photos of these tikis in albums at the Mai Tiki gallery, so I would guess that their studio had a hand in making them. 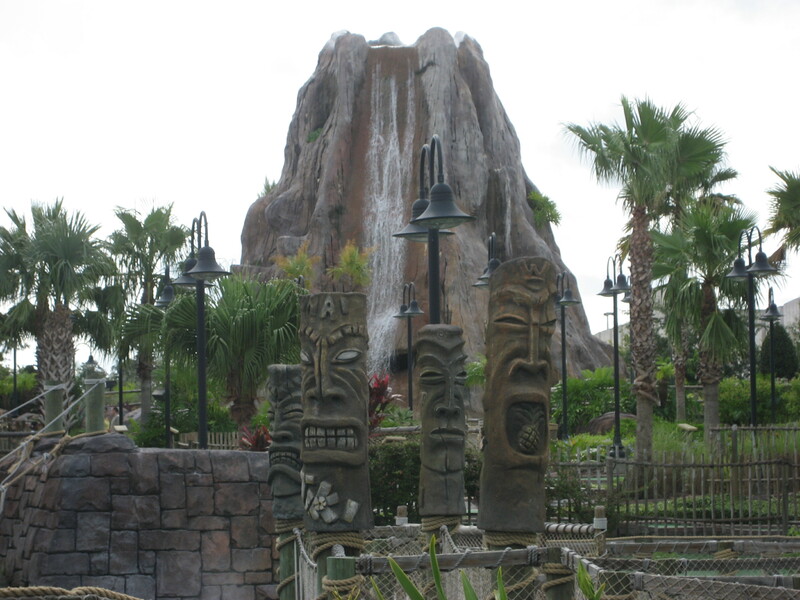 We only stopped by so I could snap a few pics myself as we were actually on our way to yet another tiki-themed golf course in Lake Buena Vista — Tiki Island Adventure Golf. It almost feels like all this tiki stuff is finding ME now!